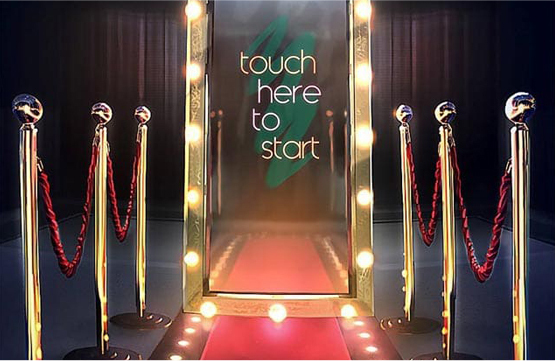 A unique top of the line touch screen 'Magic Mirror' photo booth rental to elevate the excitement at YOUR special occasion. Instant memories. Instant connections. 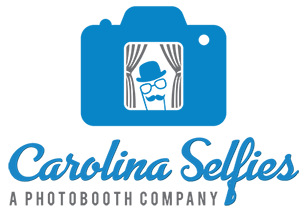 Your guests will mug, cheese, cheer and laugh as they gather around Selfie Station at your event. Guests enjoy a wonderful souvenir they can print. Rent Charlotte’s most unique photo booth, “CASSIE” the vintage camper photo booth. 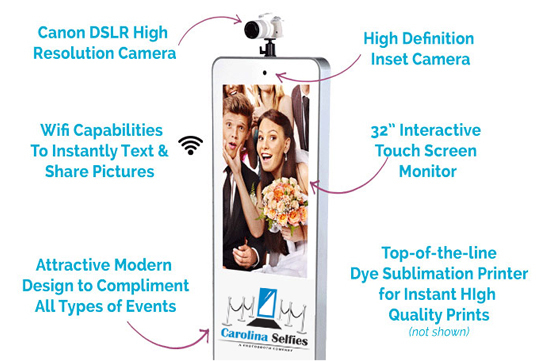 Let us bring Cassie to your next event and give your party guests a whole new photo booth experience! 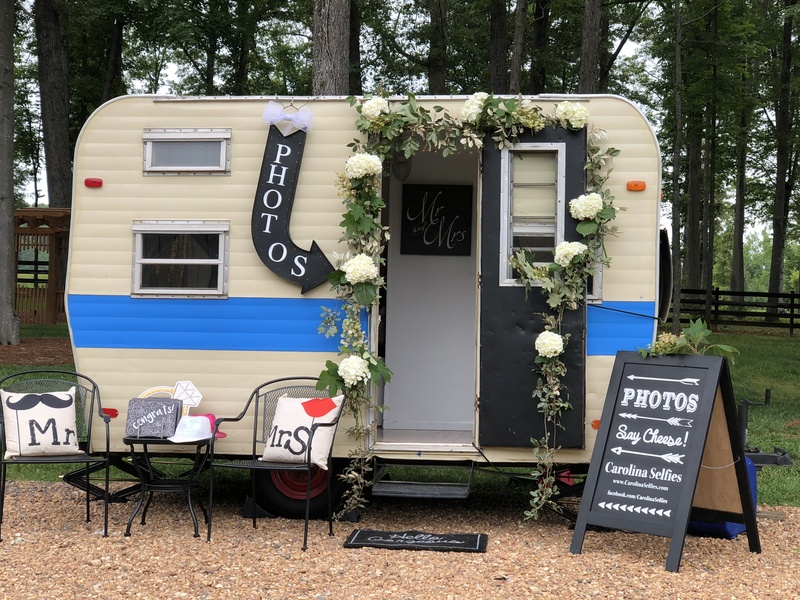 Cassie is beautifully decorated inside where you will find our Selfie Station unit and bench seating that will fit 4 - 6 guests at a time! Cassie is air conditioned. The outside of the camper will be staged with table and chairs, props, and lights for evening events. No need to worry about access to electricity, we bring our own generator!